Do you ever get tired of the same old snack mix that gets set out at parties? I know I do. Give me something with a balance of salty and sweet, please. Is That kind of snack is hard to come by. Or is it? 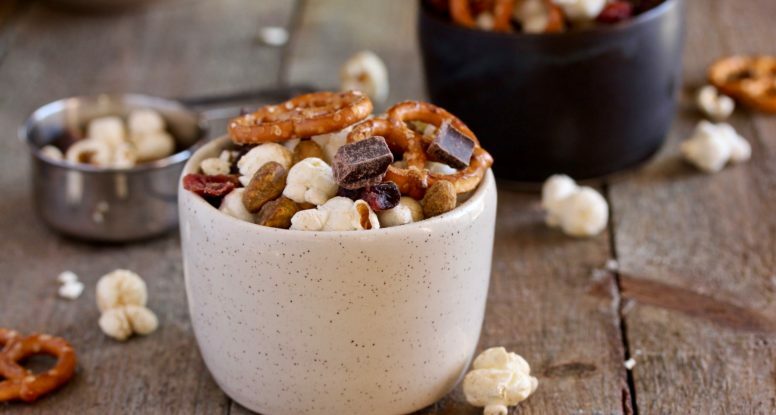 This Holiday Snack Mix might save your next party! Does that exclamation sound familiar? It sure does to me. When I pick up my little sous chef from school, I’m always met with those two words. Luckily, we both love a delicious, nourishing snack. And the effort in making that nourishing snack is worth it, because snacking can be a great way for your kids to get more nutrition while keeping them happy and satisfied until their next meal. 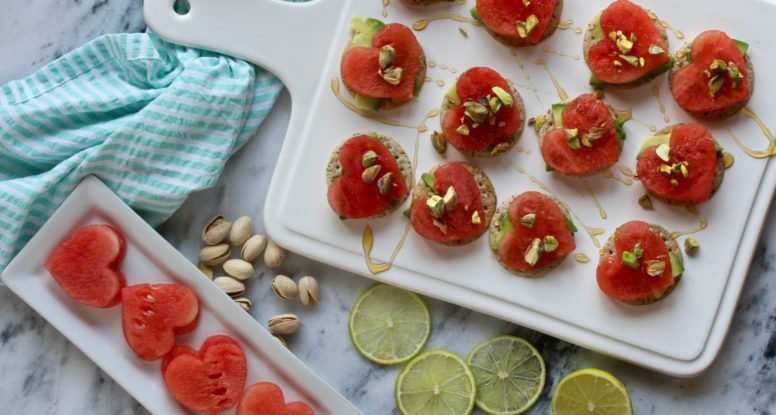 Today I’ve partnered with Simple Mills for this post all about making snack time meaningful and I’m sharing a recipe for my Avocado Watermelon Cracker Snackers. There’s a whole lot of German ancestry in me, so by default, I must love sauerkraut. And luckily, I do…now. But when I was little, I just could not figure out why my mom loved it so much! Why, oh why, did it have to show up on my hotdog? Ugh! But, with age, comes wisdom, and now I see how that fermented cabbage is such a beloved food. But I know seeing outside it’s traditional use as a “sausage topping” is hard, so I’m here to shed light on what to do with all of that kraut! 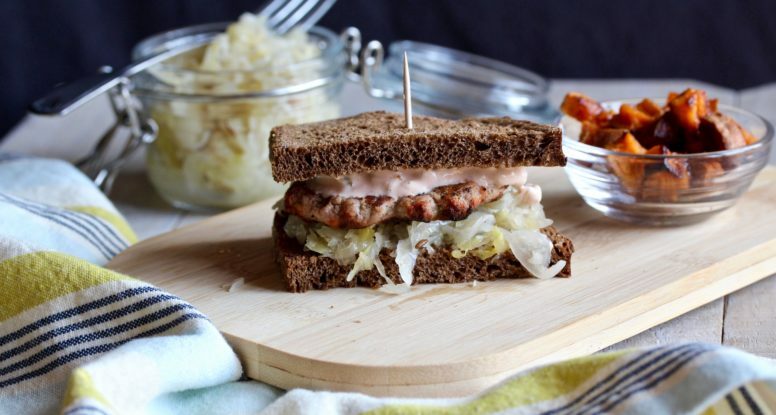 So catch my ideas below along with a recipe for these yummy Sauerkraut Turkey Burgers! Who doesn’t like a change of pace? While I love simplicity, I also appreciate mixing things up a little. For example, I love popcorn in it’s most purest form. I could eat it every day. But, sometimes it’s fun to put a twist on classics. 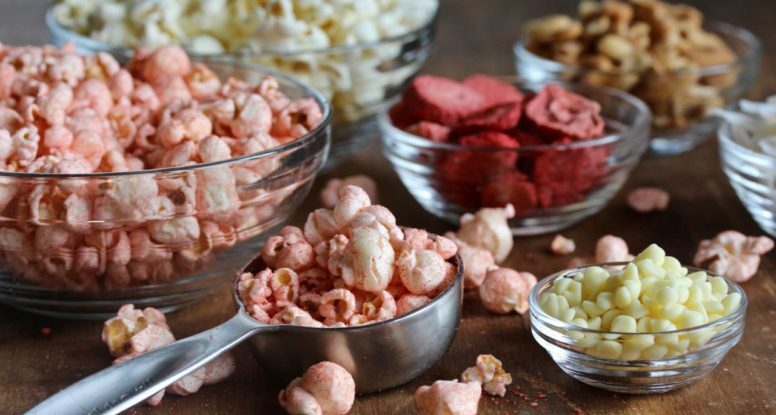 If you’re looking for that same fun twist, than you’ll love this 2 Ingredient Strawberry Popcorn! I love veggie burgers, don’t you? I love making my own even more, but not at the expense of time. 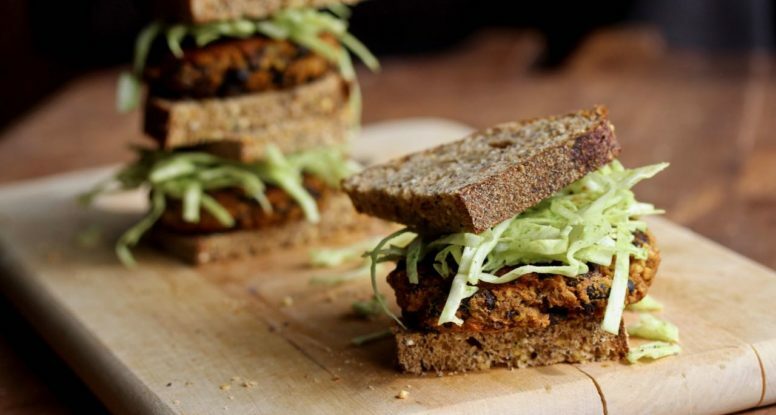 That’s why when I see fancy veggie burger recipes with millions of ingredients I cringe. While the effort will likely be well worth it, I just don’t know that I want to spend so much time measuring, chopping and cooking all of that stuff. That’s why I love my bean burgers! They’re delicious and won’t take you half a day to make! “I’m so hungry!” How many times have you said that or heard that? More than you can count, right? But finding a snack that satisfies that hunger can sometimes be a challenge. But I’ve got the weapon to fight that hunger! 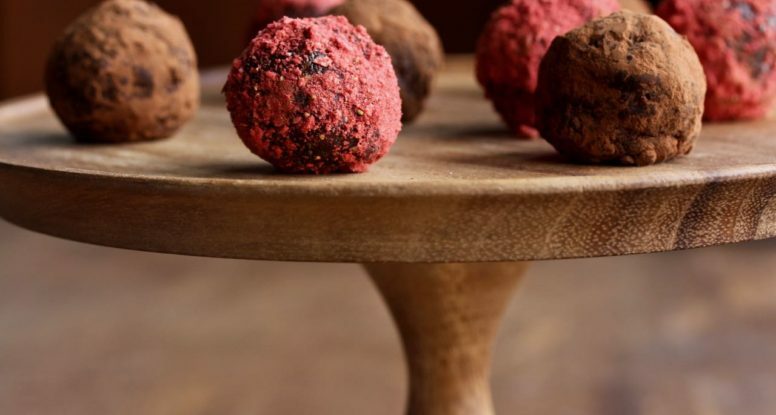 My Chocolate Truffle Energy Bites! Remember when smoothies were simple? You could order one or make one with strawberries, banana, yogurt and maybe some spinach. That was a special time. 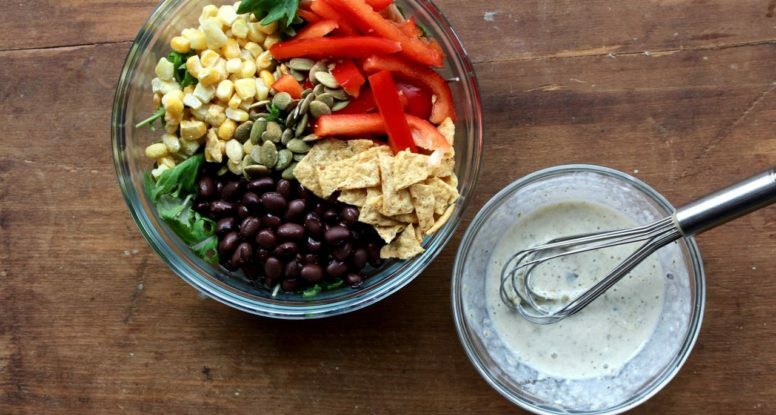 While you know I love simplicity, I also LOVE the challenge of trying new food combinations. 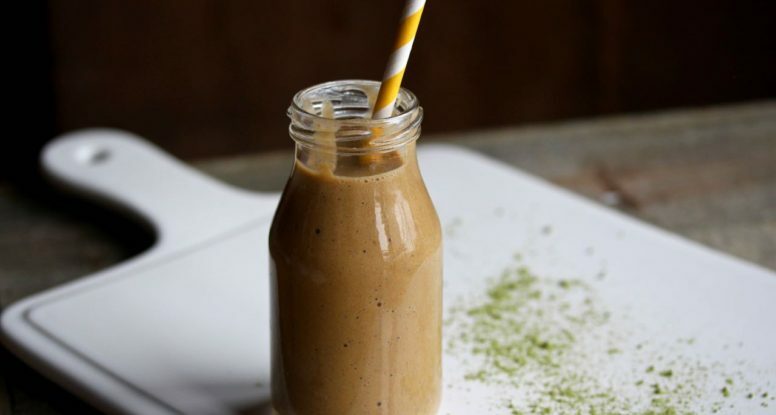 Enter my Vanilla Matcha Carrot Smoothie. 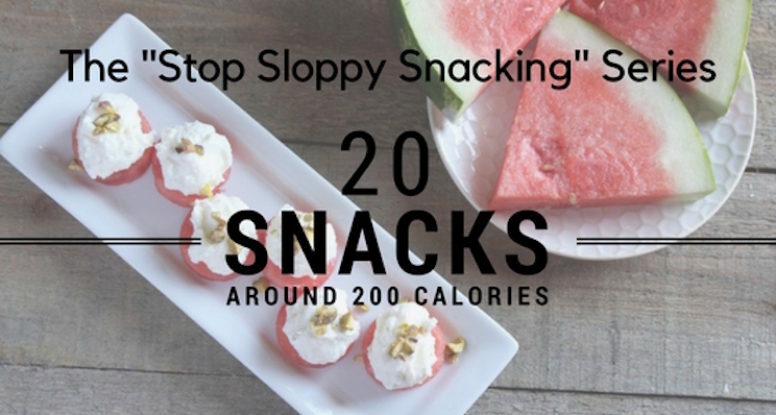 What’s your sloppy snacking status? If you’ve been following along, you know that this month I’ve devoted Monday’s to the Stop Sloppy Snacking Series. 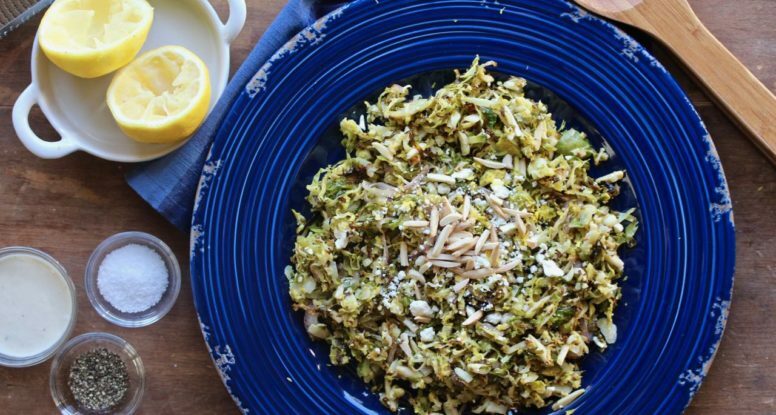 I’ve used Monday’s as way to motivate you to make more nourishing snacks – and make them easy and fun! Now it’s time to learn some tips on smarter nourishing snacking.